ISBN 0825871301. Meticulously revised and edited by clarinetist Melvin Warner, this edition contains valuable insight into both the original author Cyrille Rose and Franz Wilhelm Ferling, on whose music the Rose studies were based. The piano accompaniments, composed and performed by John Walker, further enhance the musical quality of these etudes while making practice and performance more meaningful. 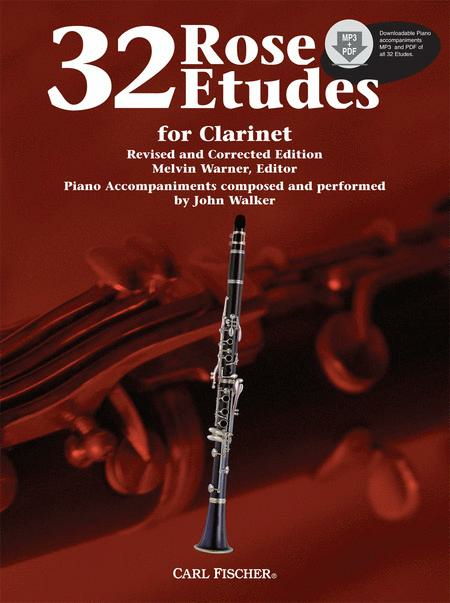 Many of these beautiful, melodic etudes are perfect for recital use as well. With this new edition, a classic and trusted method becomes all the more indispensable.